While humanity faces a range of interconnected transnational threats and crises in the 21st Century, climate change and the continued existence of nuclear weapons stand out as two existential threats. Both threaten the survival of life on earth as we know it and both are of our making. There is increasing interest in how climate and nuclear threats interact with each other. 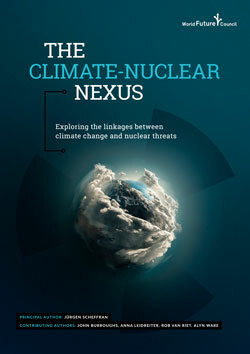 This workshop will present some of the key findings of a recent study on the “Climate-Nuclear Nexus” including: the impact of climate change on nuclear and international security; the climatic and ecological consequences of nuclear war; the obstacles of climate and nuclear threats to achieving sustainable peace; the problems and risks of nuclear energy in advancing climate and nuclear disarmament action; and the availability of renewable energy and other resources to diminish climate and nuclear threats. On the long arc of human existence, climate change and the continued existence of nuclear weapons are relatively new to the scene, having only appeared over the last century. Both threaten the survival of life on earth as we know it and both are of our making.